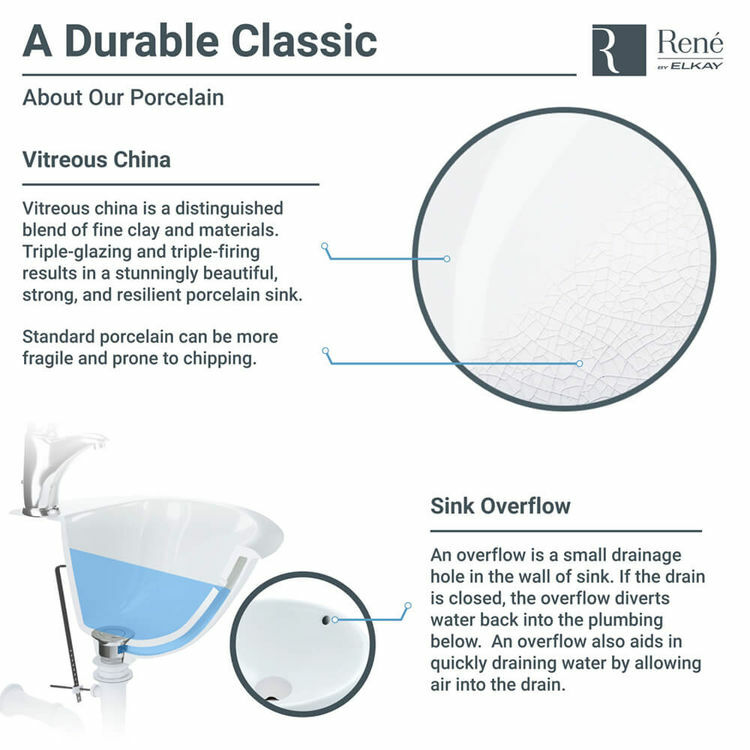 Do you feel the need of innovating your bathroom? Elkay offers a bright solution just for you! 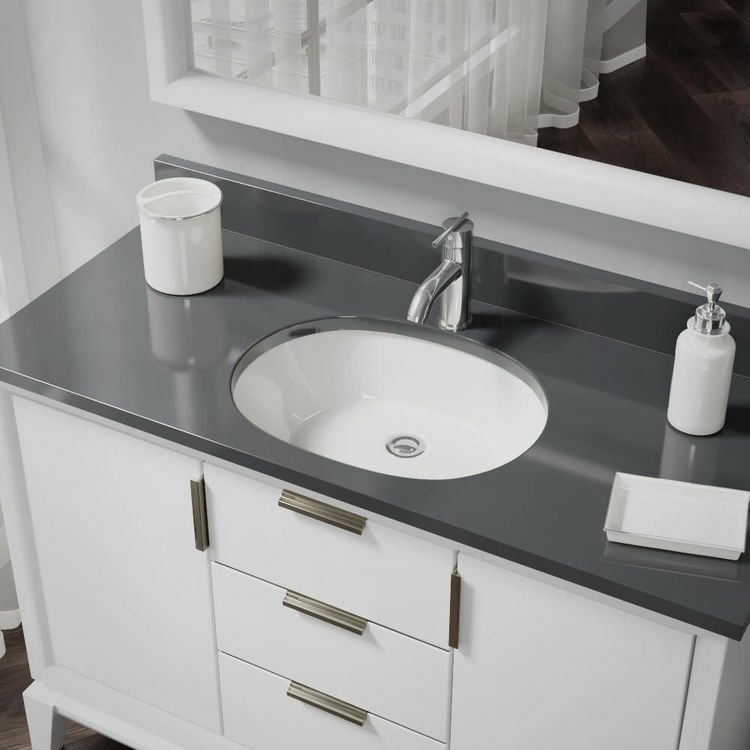 With Elkays new Rene R2-1005-B-PUD-C bathroom sink package, your bathroom will achieve a new stunning, upgraded look! 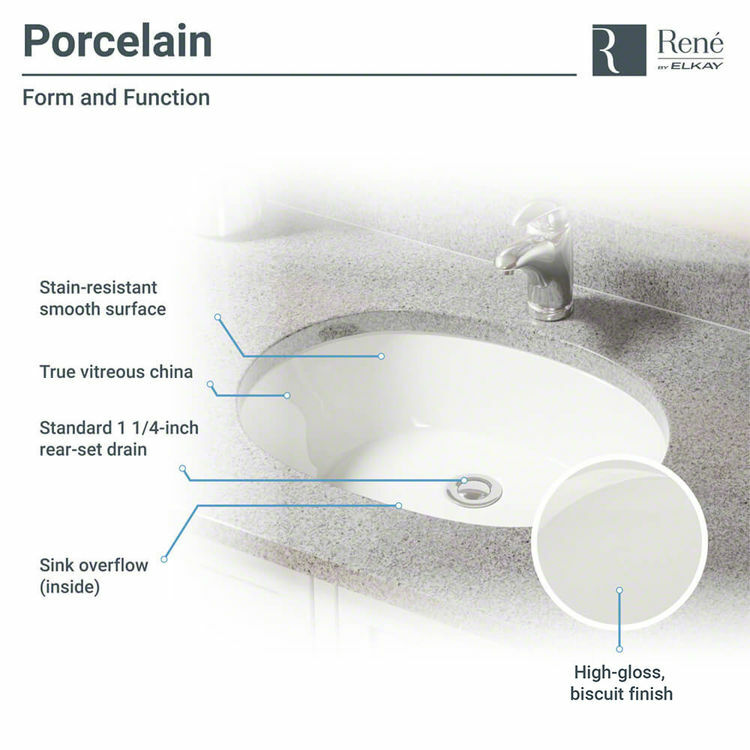 Made of Vitreous china-coated porcelain, this high-quality sink will not easily chip or stain. 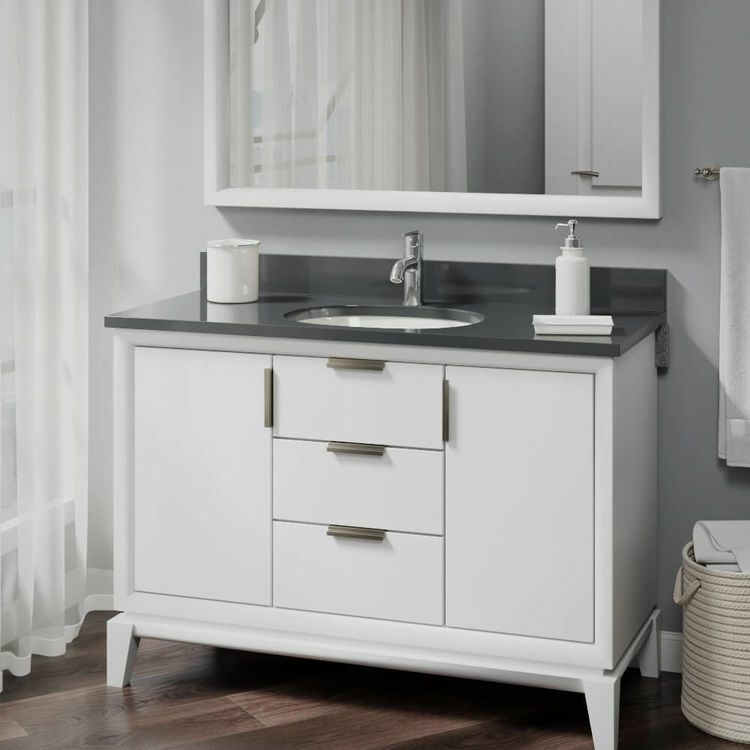 It comes with a biscuit finish that adds a clean, neutral feel inside your comfort station. 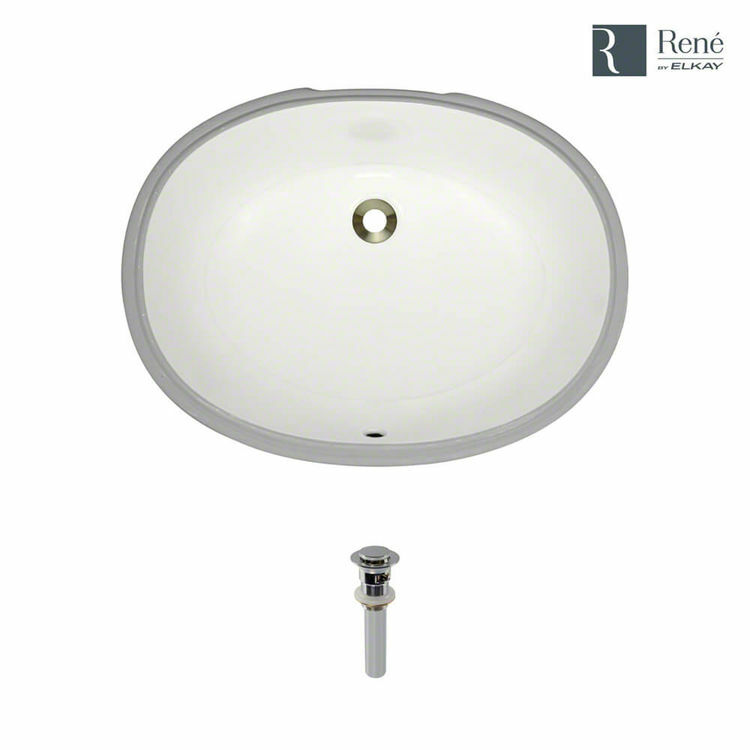 This Elkay's Rene bathroom sink kit features a classy oval shape that contributes beauty and elegance. 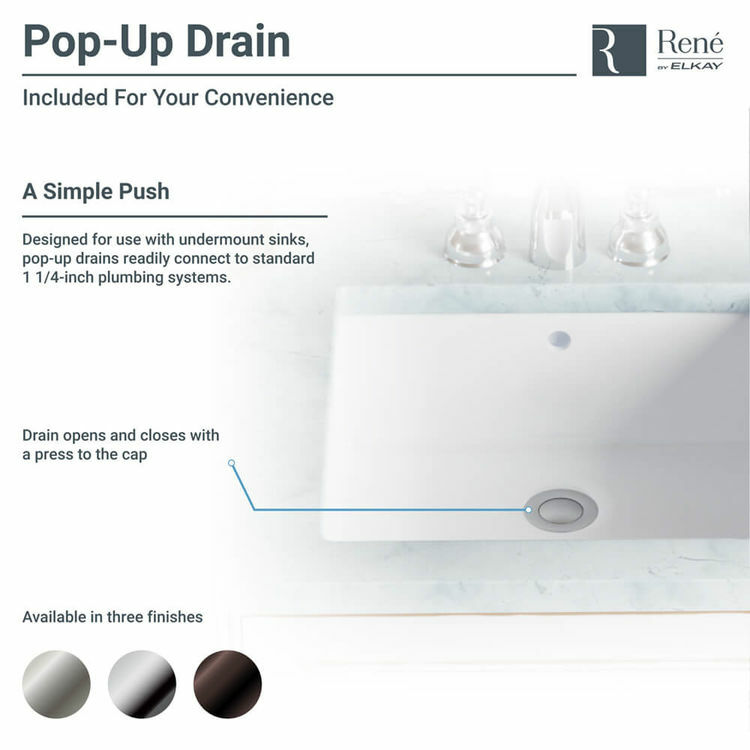 It includes a one-push pop-up drain in a universal chrome finish that matches a wide range of lavatory fixtures and accessories. 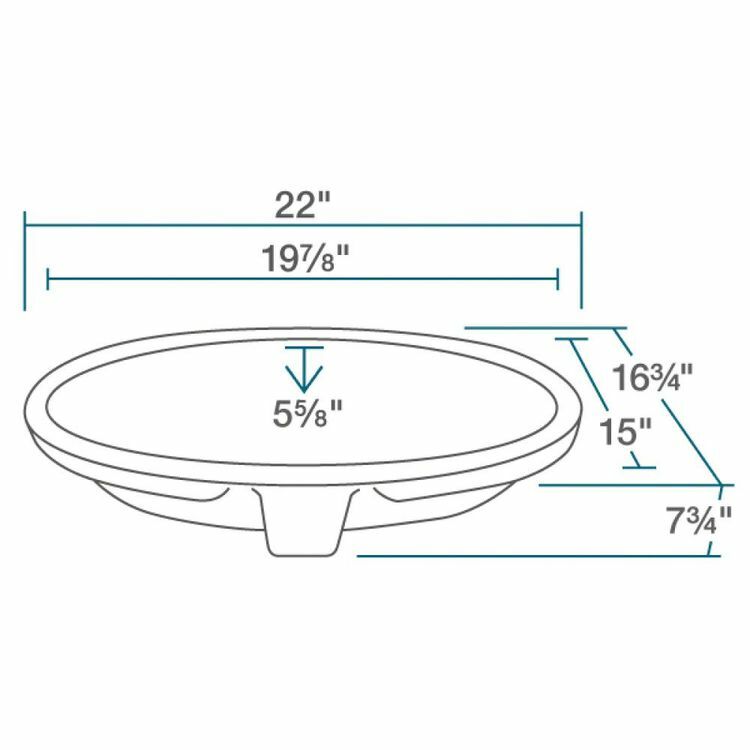 Having overall dimensions of 16.75" x 22" x 7.75", this Elkay R2-1005-B-PUD-C Rene sink package is designed for a space-efficient application. It is intended for an undermount installation. This product is covered by a Lifetime Limited Warranty backed by Elkay, your trusted partner in home evolution. Size: 16.75" x 22" x 7.75"
With overall dimensions of 16.75" x 22" x 7.75"